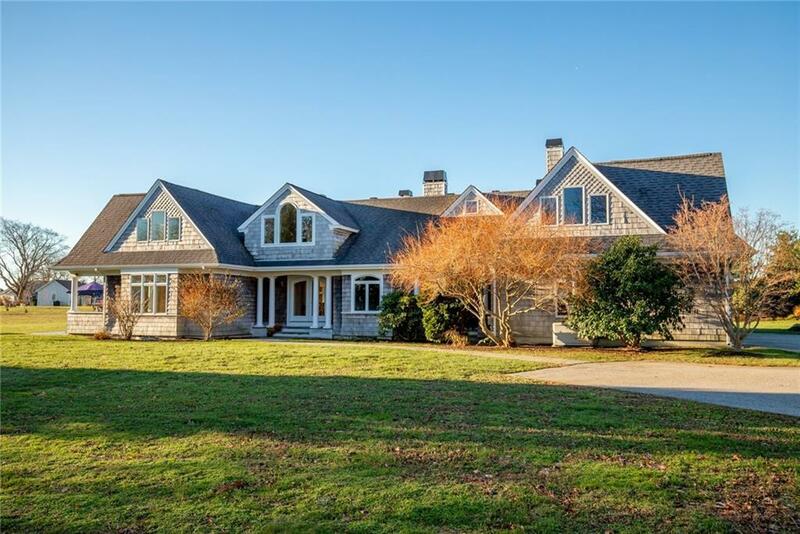 A beautiful, sun-filled cedar shingle Seaside Home located in desirable Chace Point. This custom-built home was thoughtfully designed for todays modern lifestyle, featuring an open floor plan, cooks' kitchen and 4 spacious bedrooms, each with en-suite bath and gas fireplace. The sun-drenched living room with cathedral ceiling offers two sitting areas and opens onto the kitchen with center island and breakfast bar, Sub-Zero refrigerator & full-size freezer, Wolf Cooktop, double wall ovens, double sinks and maple cabinets. The comfortably sized dining room can seat over 12. The bedroom suite on the first level has a private entrance and can serve as a guest room, media room or office. 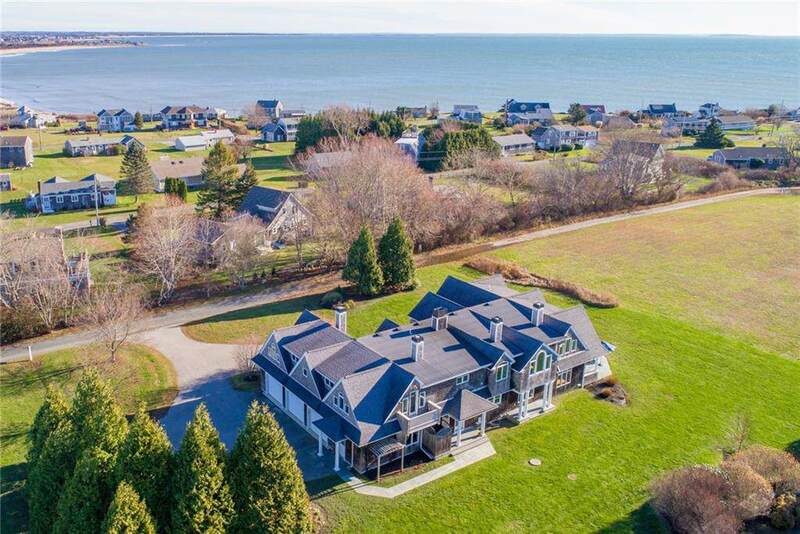 The second level has 3 bedrooms including the master bedroom suite, which has it all: ocean views, a balcony, a spa bath with steam shower, radiant floors, his and hers walk-in closets, and marble fireplace. The 2 other spacious bedrooms have private baths, walk-in closets and gas fireplaces. Additional features include a lower level game and media room and a 3-bay garage with extra storage space. Lining the exterior of the home are blue stone porches, patios and walkways, an outdoor shower and mature landscaped grounds. 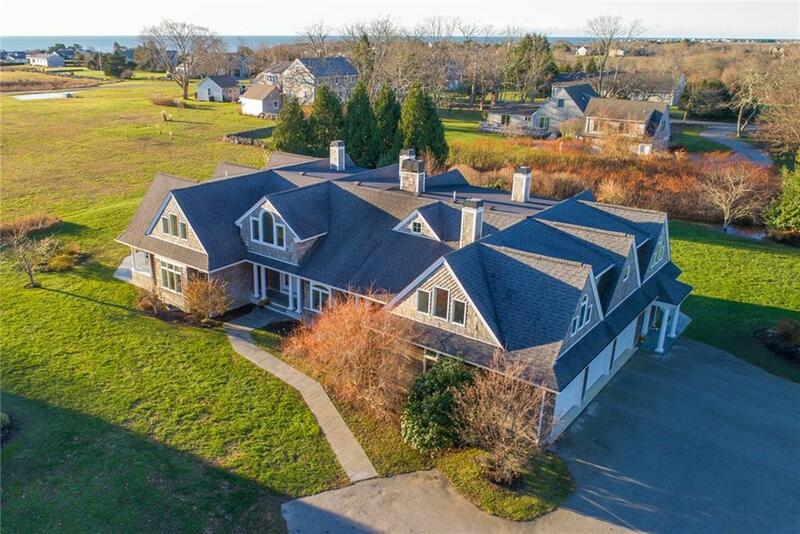 Located on the south-eastern shores of Little Compton on coveted Chace Point, 45 Side Road is steps to beaches & farm stands, and 5 minutes to the town center. A fantastic turn-key home ready for its next owners to make memories for years to come. Buyer Pays LCAT.